Reporting to you live from the sky in transit from NYC to Austin….some very exciting news for this week’s SXSW Music Festival! Rocker Stalker is bringing you TWO showcases with the help from some awesome friends! 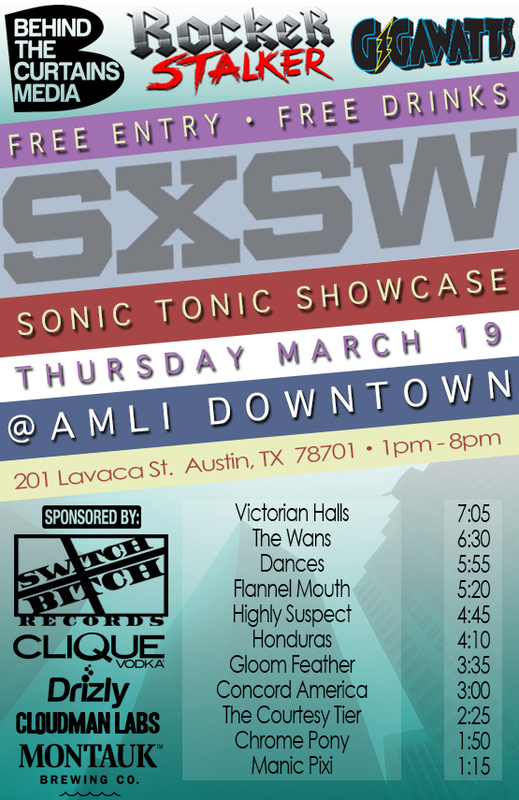 Rocker Stalker, Behind The Curtains Media, & 1.21 Gigawatts Present the #SonicTonic SXSW Day Party!